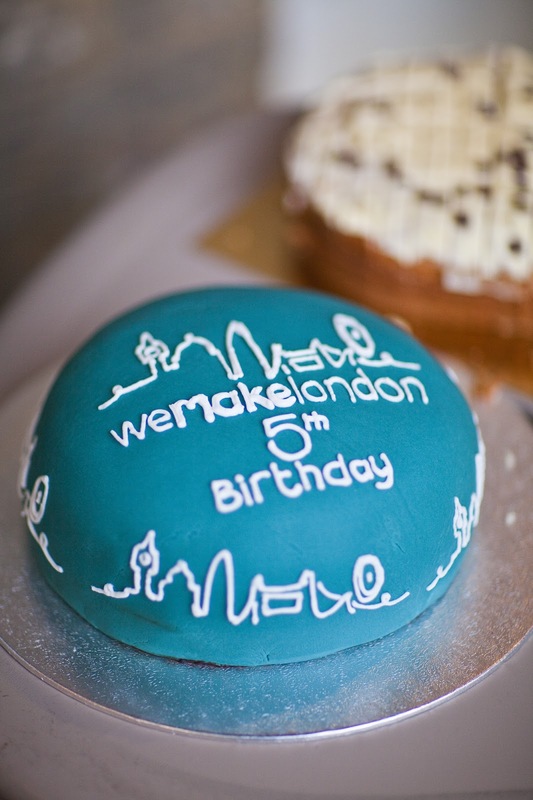 Last Friday we were invited to the We Make London Pop-up shop in Camden for their 5th Birthday event. 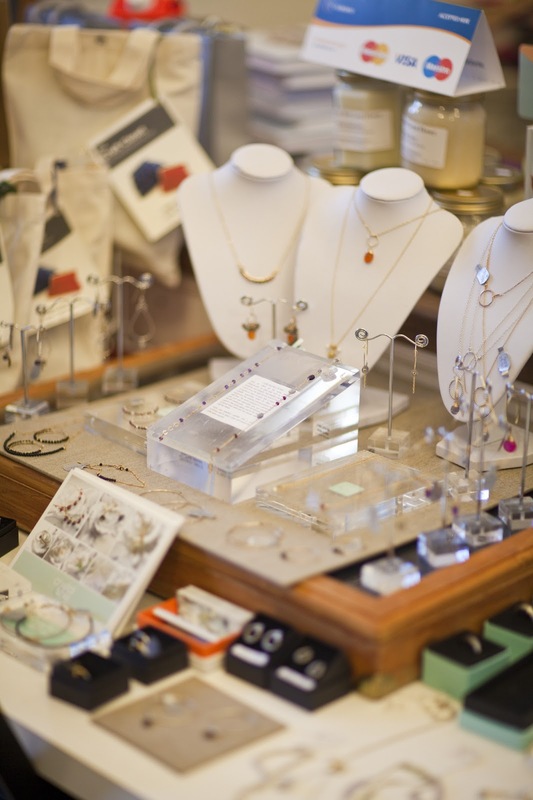 You may remember I went and checked out the shop a few weeks ago and bought a couple of necklaces! oops. You can see that post here. 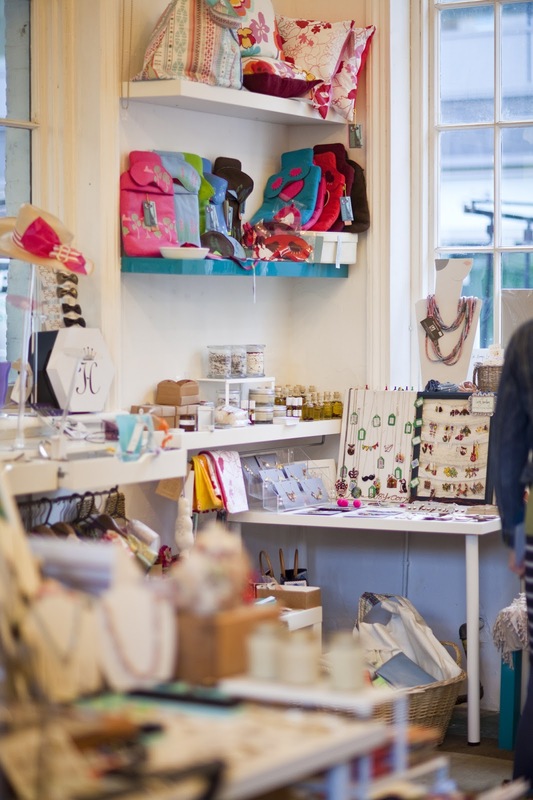 They have bought together lots of designer/makers from all over London and beyond to sell their wares in this small but perfectly formed shop. 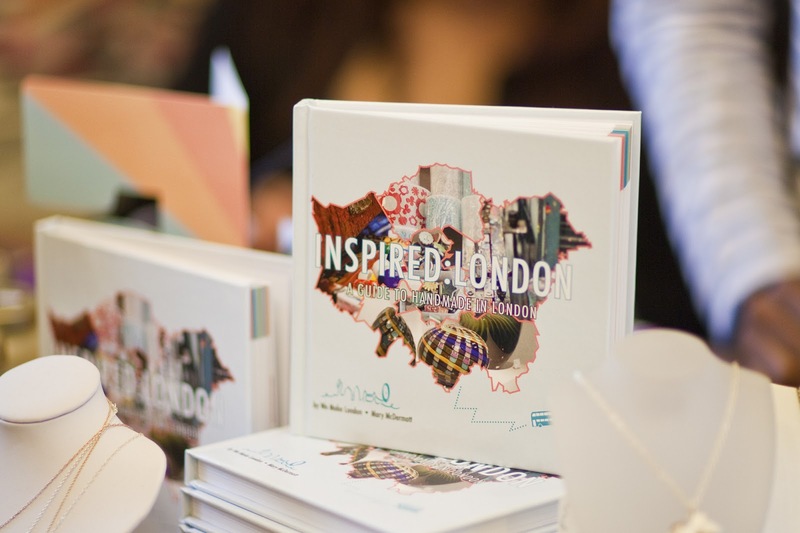 We Make London are brilliant at highlighting new and established talent in their book Inspired London and on their website. They are planning on a Home Counties Book and even Inspired London 2 next year sometime hopefully - so watch out for that. The pop-up shop is open in Camden Market throughout the week, but this worked out to be a great excuse to get Sammy to come take a look too. 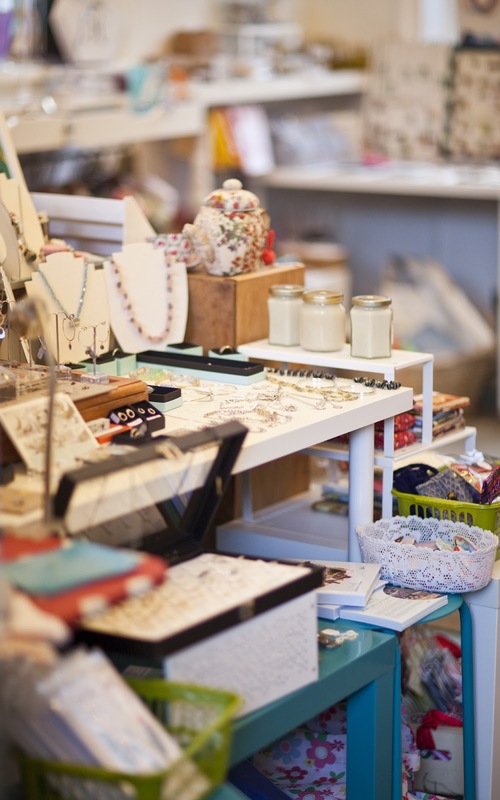 Our friends from The Craft Closet have their kits in the shop. 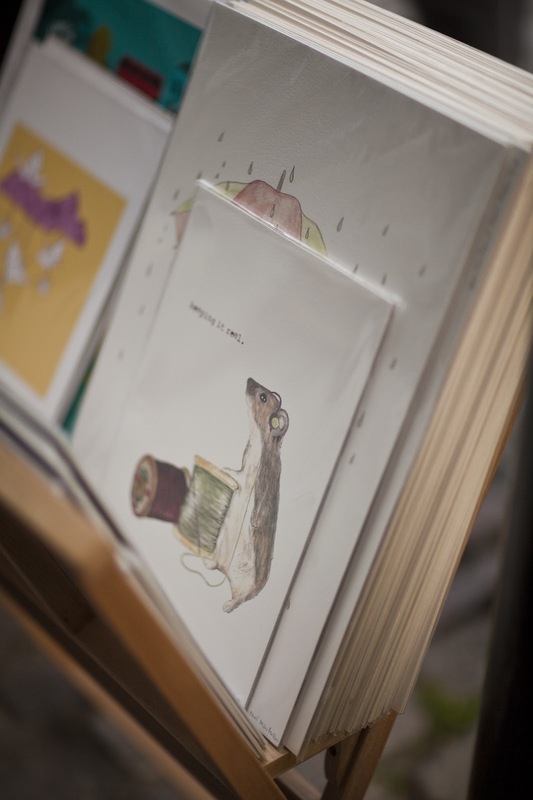 ... and just check out all this work, there was so much more to see and so I think you should go and take a look for yourself. Sammy even bought herself this mouse print by Mister Peebles and a necklace from Benu shop, so we are now starting quite a collection of items from the shop. 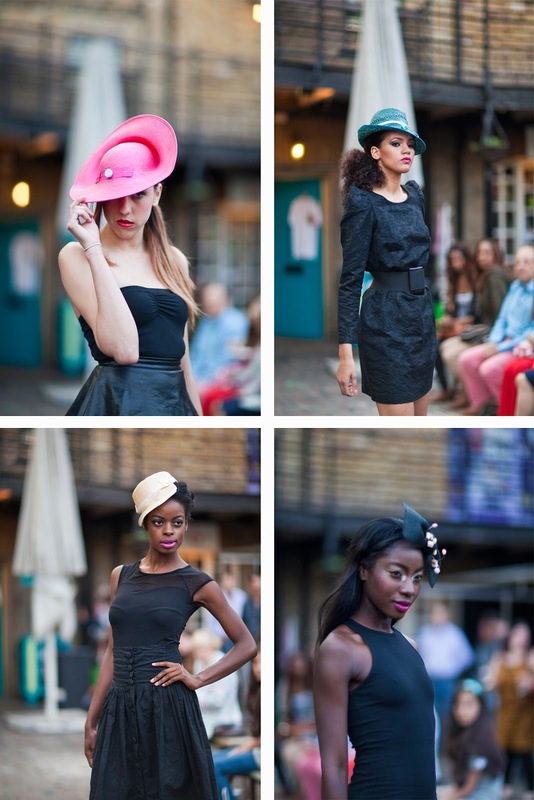 To make the celebration really special, there was a catwalk show in the Market area. 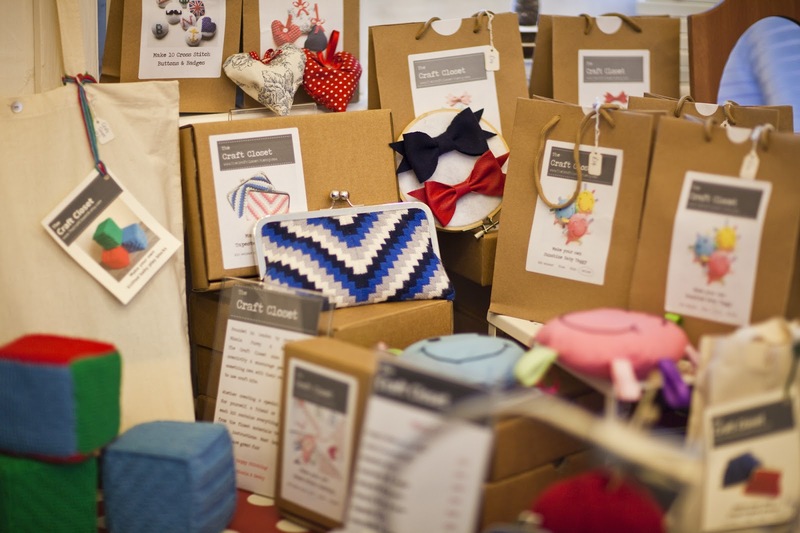 Lots of the designer/makers showed off their products, including Hatastic and Boobou Designs. 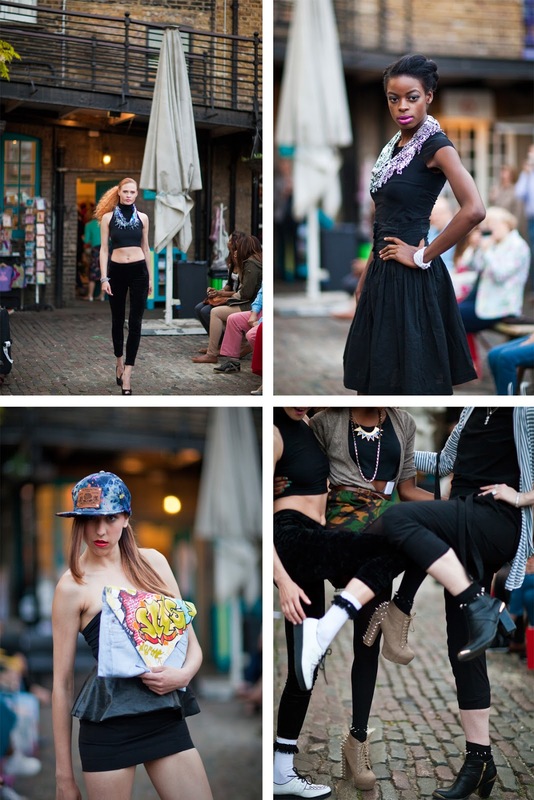 The models did well not to fall over on the cobbles and I applaud them for keeping a smile on their faces. Becky from The Craft Closet had utilised her baking skills and made a very special cake for the occasion! Which we both can vouch for as really really delicious and what a steady hand she has for the London skyline decoration. Inside it was Chocolate cake with a fudge style cream in the middle, yum, yum. I saw this cabinet outside the shop which I am a little bit in love with too. 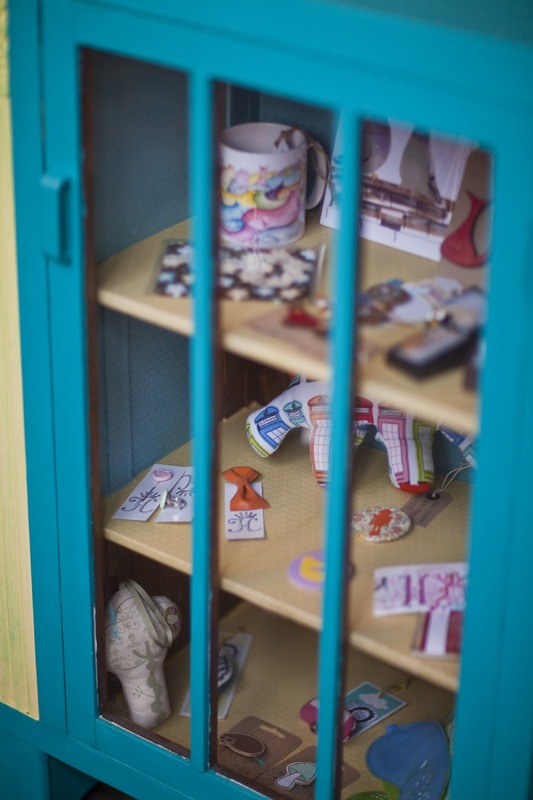 There is something about a teal cabinet! One day I will have my own place and I will actually be able to have my own rather than just look at them- longingly. 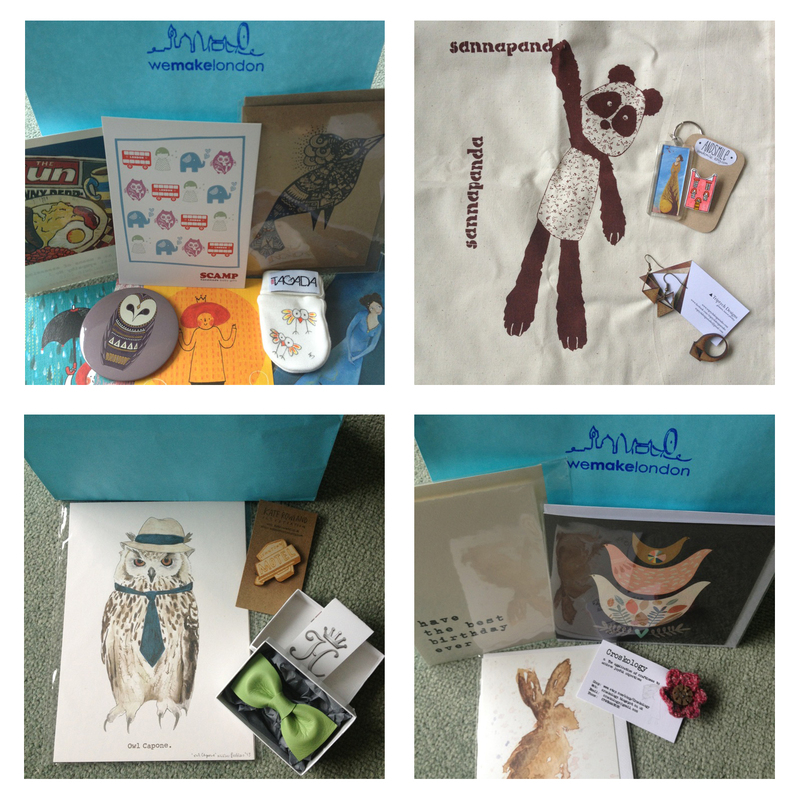 Just before we left we got a goodie bag from the lovely Mary at We Make London. 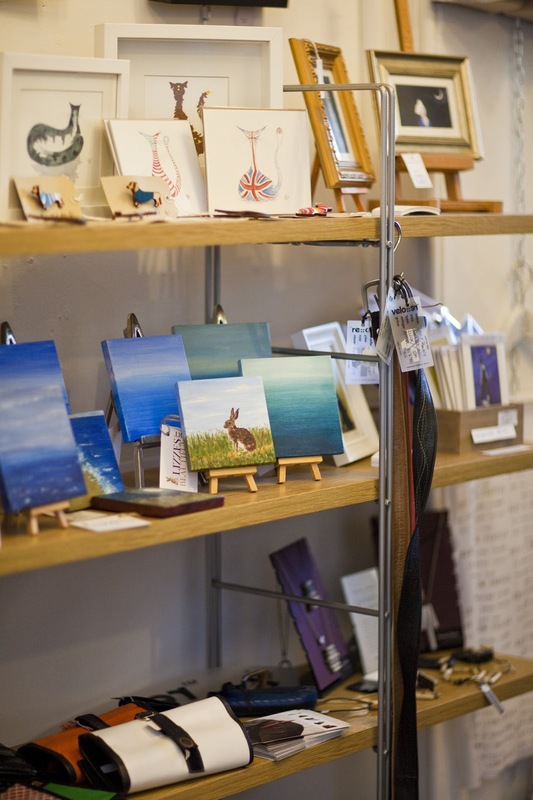 There was a massive array of goodies from the designer/makers involved in the pop-up shop. 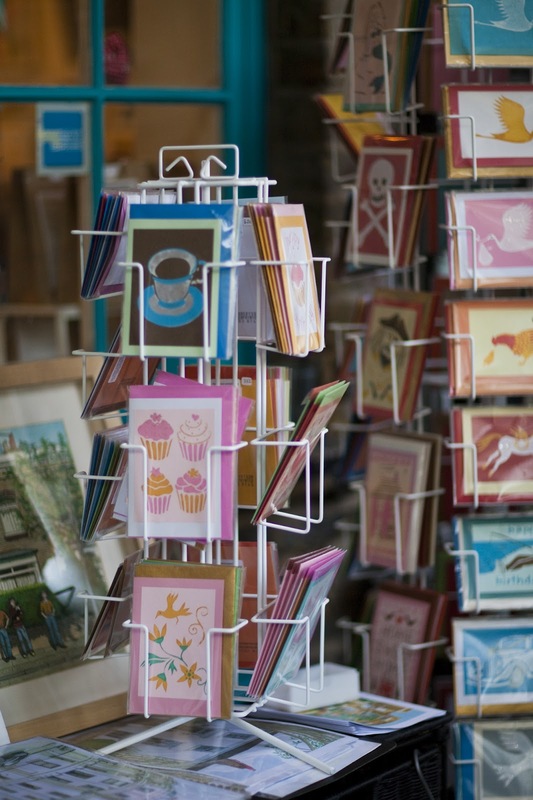 Lots of Birthday cards and postcards, along with Jewellery, hair accessories and brooches. 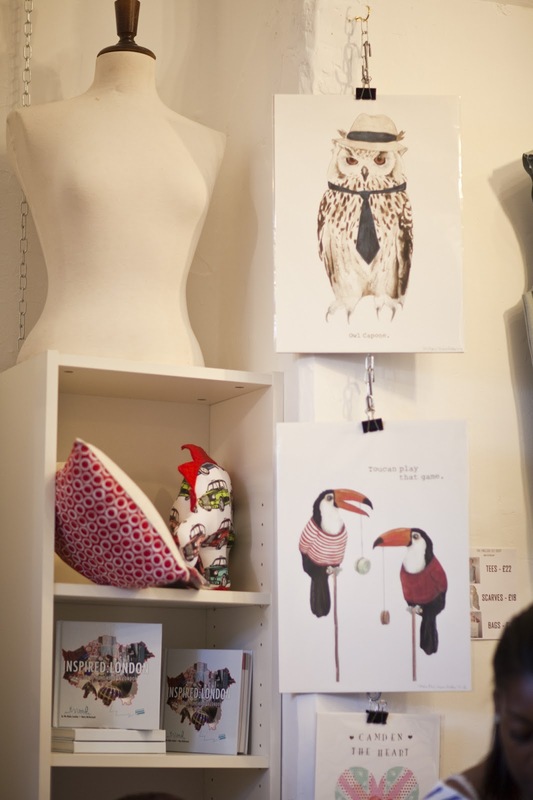 My favourites are definitely the Panda Bag and Owl Capone print. Which given my love of owls is just the perfect item to have on my wall. 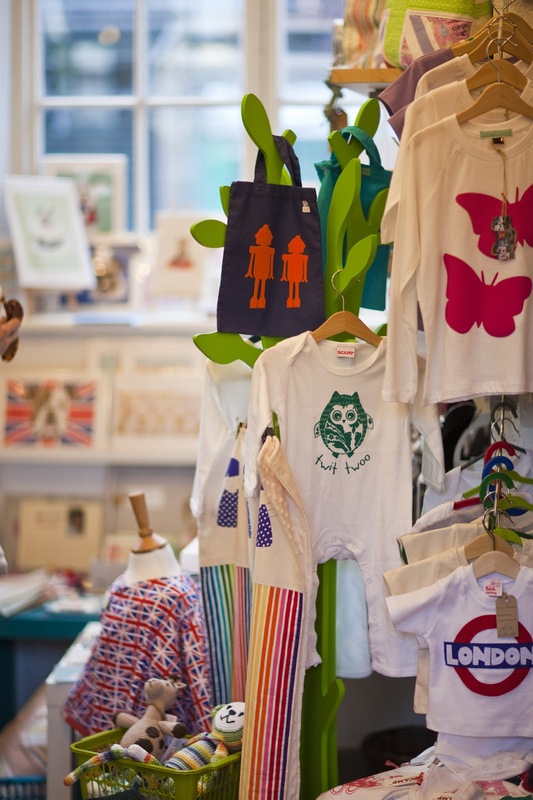 Big Thanks go to We Make London and the whole team of designer/makers involved in the Pop-up shop and the Birthday Celebrations.